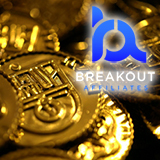 Altcoin users now have even more opportunities to fill their pockets thanks to Breakout Gaming. The fabulous BreakoutGaming.com website already offers an incredible array of gaming and betting opportunities, and will soon deal in a wider range of cryptocurrencies thanks to its new licence in Curacao. BRK is one of the fastest-growing cryptocurrencies on the market and its price recently rocketed by 600 per cent in just days. And with BRK deposit and withdrawal options set to be added to a wider range of games, Breakout said its increasing popularity will lead to its market value stabilising. Gian Perroni, chief gaming officer at Breakout, said: "Breakout will be one of the only licensed and regulated operators that accepts multiple cryptocurrencies, and will soon be able to offer BRK denominated poker and casino games, supporting the exploding altcoin market." BreakoutGaming.com offers a full sportsbook, as well as both RNG and Live Dealer casino games, poker, virtual and fantasy sports, skill games and financial betting.